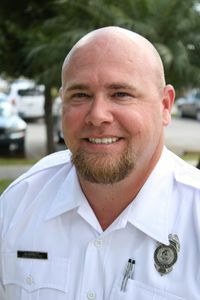 Newly formed in 2005 and now independent from the Miami Dade Police Department, investigators and animal control officers of the Animal Services Department (ASD) cover over 2,000 square miles from South Beach Miami to the Everglades. 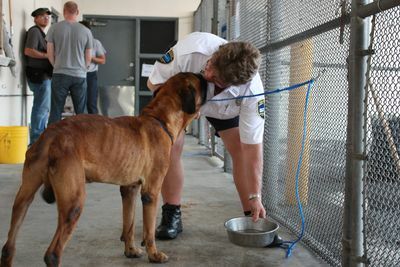 ANIMAL COPS MIAMI follows the humane law investigators of the ASD in their battle against animal cruelty as they set out to rescue animals from their predicament before it is too late. The county of Miami Dade, Florida, covers more than 2,000 square miles, ranging from South Beach to the Everglades. 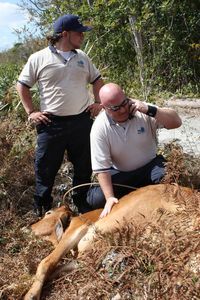 It is home to millions of creatures - from alligators to Chihuahuas - but there is only one team dedicated to animal emergencies: the men and women of ANIMAL COPS MIAMI. For the ANIMAL COPS MIAMI team at the ASD, their city is literally an urban jungle. 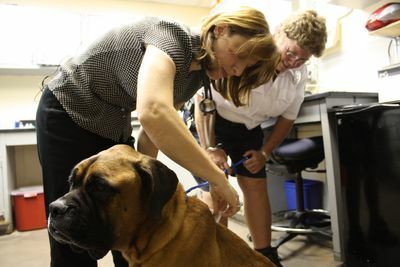 Based minutes from downtown Miami and on call 24 hours a day, the team responds to a broad range of animal situations, from the most dangerous, serious cases to more lighthearted ones. 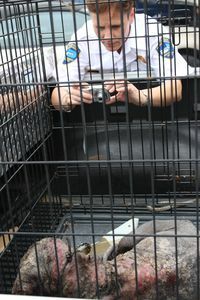 Join the ANIMAL COPS MIAMI team as they deal with nearly 2,500 calls a month including a loose alligator which causes a 9-mile backup on the freeway, a python found in a public restroom and a cult that sacrifices animals. Witness the ANIMAL COPS MIAMI team in action as they take on multiple forms of animal abuse and free creatures from further persecution. Wildlife agents are called out in the middle of the night to rescue a black bear that has been hit by a car on a Miami highway. Meanwhile, animal cruelty investigators confront the owner of an illegal pig slaughter operation. Later, a rattlesnake bite leaves a dog fighting for its life. When a CCTV camera catches a man viscously beating a cat, it is up to animal services investigators to catch the culprit. Extreme neglect leaves two American bulldogs at death's door while a nest of young barn owls are rescued from a demolition site and returned to the wild. A mission becomes personal when animal cruelty investigators find two adopted dogs wandering the city streets in need of help. 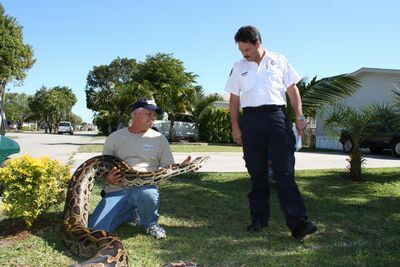 Later, the animal services team have their hands full when they are called to deal with a 16-foot python in a trailer park, a hoarders home and a 400-pound bull on the loose! Animal cruelty investigators have a difficult job on their hands when they are deceived by a hoarder and investigator Kathy Labrada fights to save a desperately ill dog that has been rejected by its owners. Later, when a horse is left for days without food or water, a 12 year old girl comes to the rescue. When an injured alligator needs help, wildlife agent Bob Freer goes for a swim in alligator-infested water to help save it; while in Miami, a dog fights for its life after being hit by a car. Animal cruelty investigator Fernando Casadevall leads the rescue of over 400 farm animals in Miami's biggest seize ever. A dramatic rescue to save a manatee's flipper uncovers a secret, while on land, investigator Fernando Casadevall is on the hunt for a gang of poachers whose brutal night-time attacks have left several cattle dead and wounded. For new investigator Adrian Diaz, it is a tough start to the week as he discovers a seriously neglected boxer in need of his help. When a man's life hangs in the balance after being bitten by a venomous snake, can Miami's Venom One Unit deliver the life-saving anti-venom in time? Investigators Gary Boyett and Adrian Diaz are determined to get justice for a neglected mother dog and her puppy, while investigator Scott Mullen is called in to stop a dangerous predator. In the quiet Miami suburbs of Cutler Bay and Palmetto Bay, bodies of pet cats are being discovered, killed and mutilated by human hand. Investigator Fernando Casadeval joins the police hunt, as they work to uncover the killer's identity and put a stop to the deaths. When a number of dogs are reported to be suffering without water or shelter in the heat of a Florida summer, investigator supervisor Kathy Labrada decides to visit the property herself. 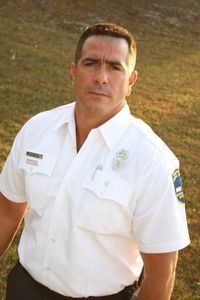 Meanwhile, investigators Fernando Cassedeval and Luis Salgado have trouble rescuing two American Bulldogs when the male dog defends its territory.